IZAR. the new shipbuilding leader, is the result of the merger of BAZAN and ASTILLEROS ESPANOLES. and it becomes the ninth largest shipbuilder in the world. IZAR offers comprehensive and modern production facilities driven by innovating energy. From state-of-the-art design to building high-added-value ships, for both merchant and military fleets, as well as ship repairs and conversions, manufacturing of engines and turbines and development of systems and weapons, IZAR is ready to compete in a global market. 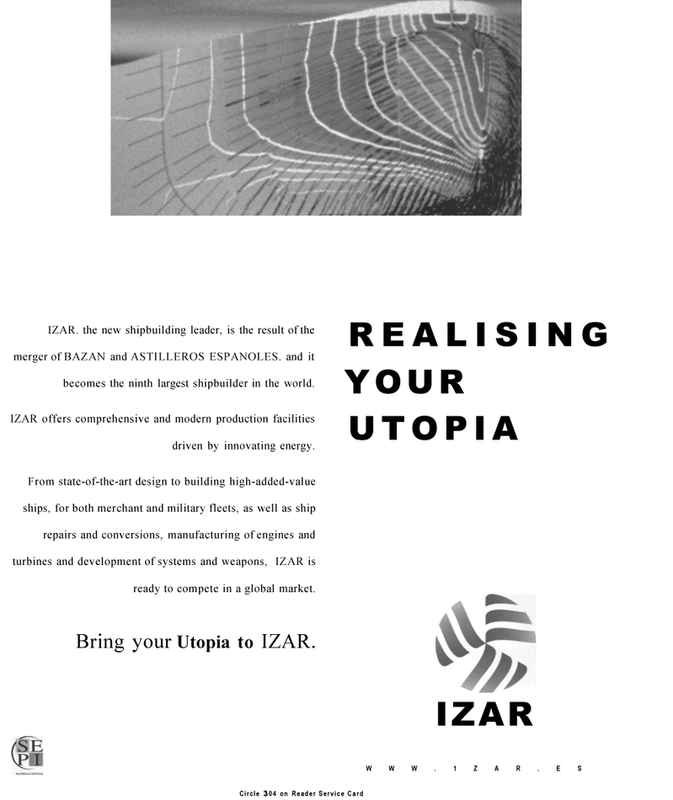 Bring your Utopia to IZAR.